Are you a first time visitor to Turkey? 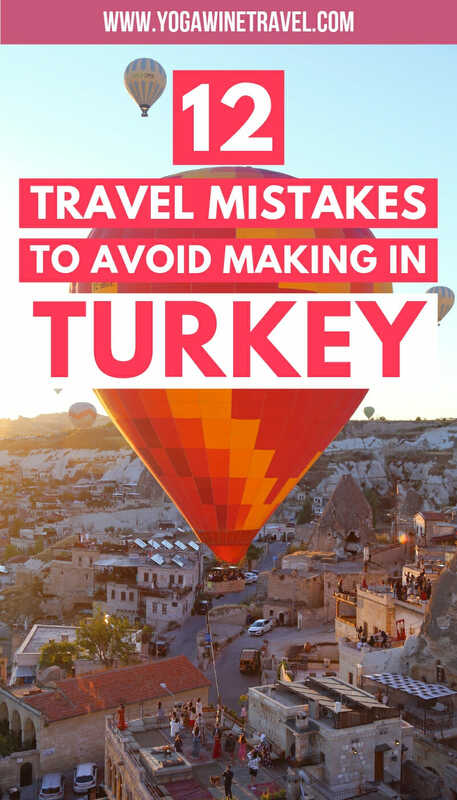 Read on for what not to do in Turkey and how to make the most of your time in the country! Turkey is an underrated tourist destination that has so much to offer, from archaeological ruins and cities to a spectacular aquamarine coastline. For most people planning a trip to Turkey, there’s not much information out there about dos and don’ts in Turkey, and what to expect. Much of what you read about Turkey comes from major news headlines (and is often negative), so it’s not surprising that tourism plummeted in the past few years – the country that straddles 2 continents has experienced significant political unrest. 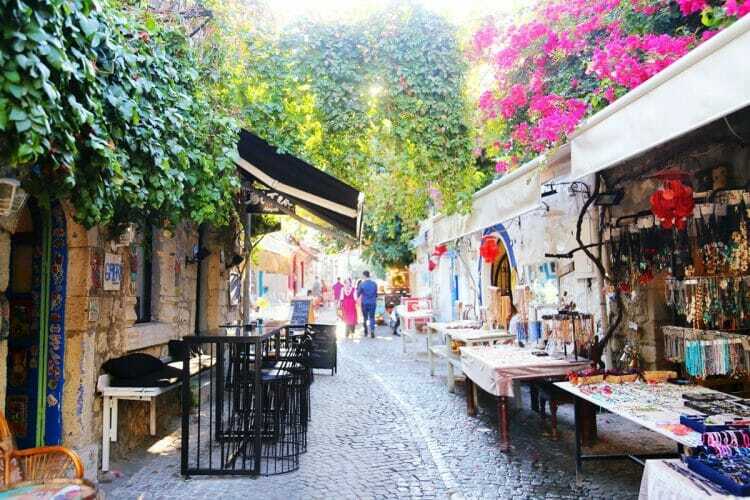 Though it is starting to regain its footing, tourism in Turkey is still largely misunderstood and many people still find themselves umming and ahing about whether or not to travel to Turkey. When we were planning our trip, all we knew was that the Cappadocia region is a must-do for hot air balloons, Istanbul is a haven for foodies, and that Ephesus is one of the best preserved archaeological sites in the world. But after spending 2 weeks in Turkey, I can honestly say that the country blew my mind in terms of what it has to offer and the hospitality of its people. Considering it was our first time to Turkey and we didn’t have any major mishaps, I would give us a solid B+ for Turkey travel planning (*high fives self*). 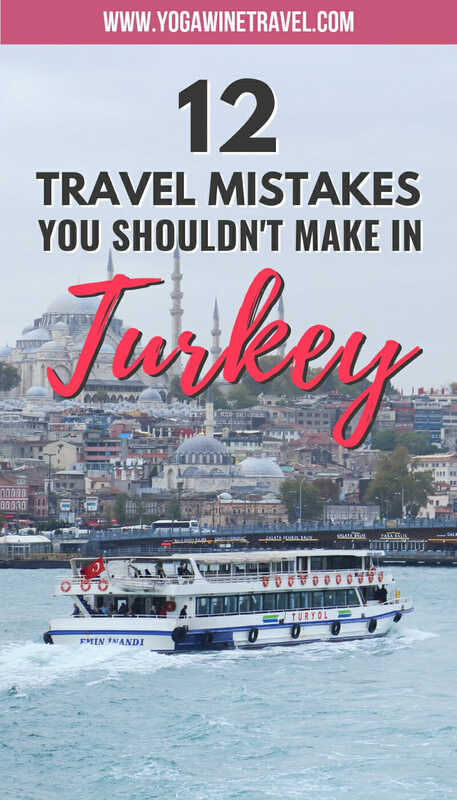 We learned a lot on the fly and had to change up our Turkey itinerary last-minute – we made some of these Turkey travel mistakes so that you don’t have to! Read on for some essential Turkey travel tips and dos and don’ts for your perfect, fuss-free Turkey trip. First of all, let me preface this with the following: this is exactly what we did in 2016. 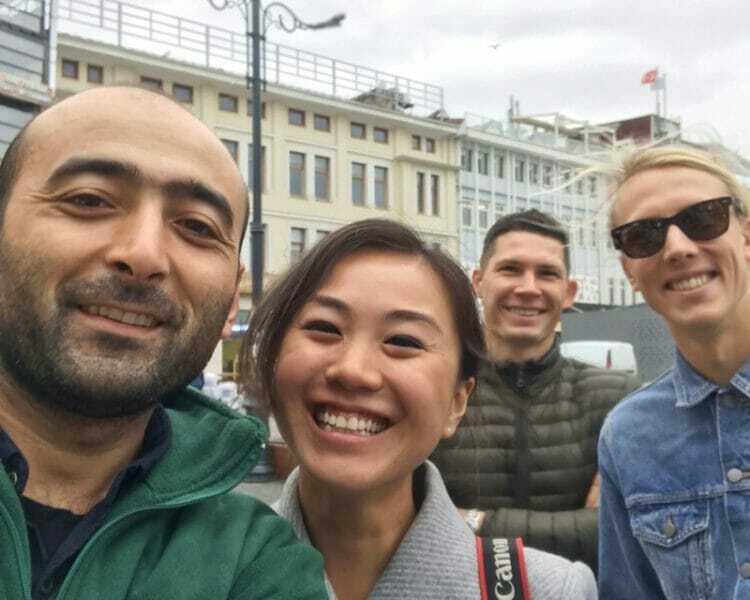 We had planned to travel to Turkey in 2016, and cancelled the trip after reading about the suicide bombing on Istiklal Street, the Atatürk Airport attack and attempted coup. Tourism numbers plummeted, and I don’t blame them – would 2016 have been the best time to visit Turkey? Probably not. 3 years on, visitor numbers are creeping back up yet multiple governments still have travel advisories telling its citizens to reconsider traveling to Turkey. Should you cancel your travel plans? It depends. My only goal is to present you with my personal unabbreviated impression of traveling to Turkey and ask that you do your due diligence, weigh up whether you personally feel that the positives outweigh the risk, and make a decision that you’re comfortable with. I do however, encourage you to keep an open mind. We visited Turkey in September 2018 and experienced nothing but warm hospitality, gorgeous landscapes and crowd-free heritage sites. 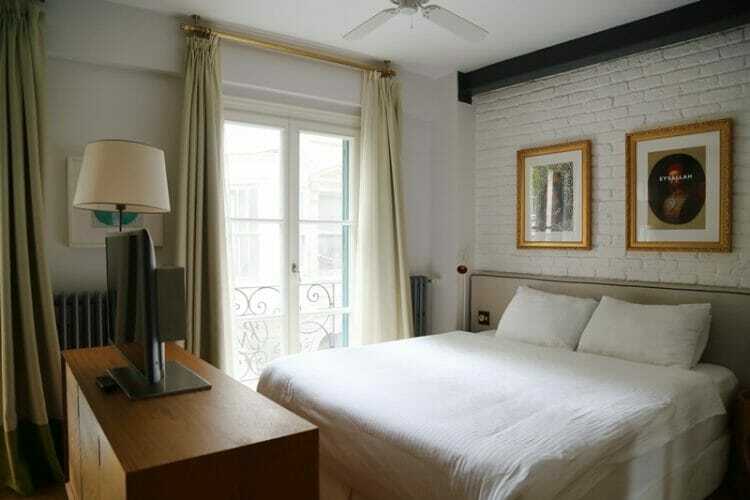 The value for money that you get is unbelievable, and you don’t need to try to stretch your dollar in Turkey as the current exchange rate is extremely favorable for visitors. After visiting Turkey, I feel like my eyes have been opened to what the country has to offer, and wouldn’t hesitate recommending Turkey as a travel destination to friends, families and readers. Most governments also agree that you should avoid traveling to the border region with Syria. 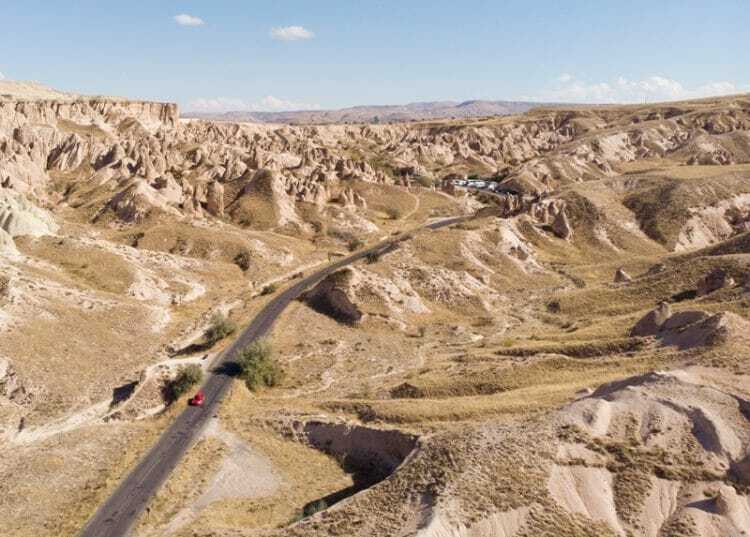 Turkey is a massive country, and one of the biggest travel mistakes you can make is underestimating how long it takes to drive between places. To give you a sense of scale, Turkey is about 6 times as big as Greece in terms of land mass! Don’t expect to cover much ground in a week in Turkey by bus or rental car – it simply takes too dang long to drive. Personally, if it is your first time to Turkey I would not recommend spending less than 10 days to 2 weeks in the country. To get between cities, it’s often just easier and much quicker to fly. 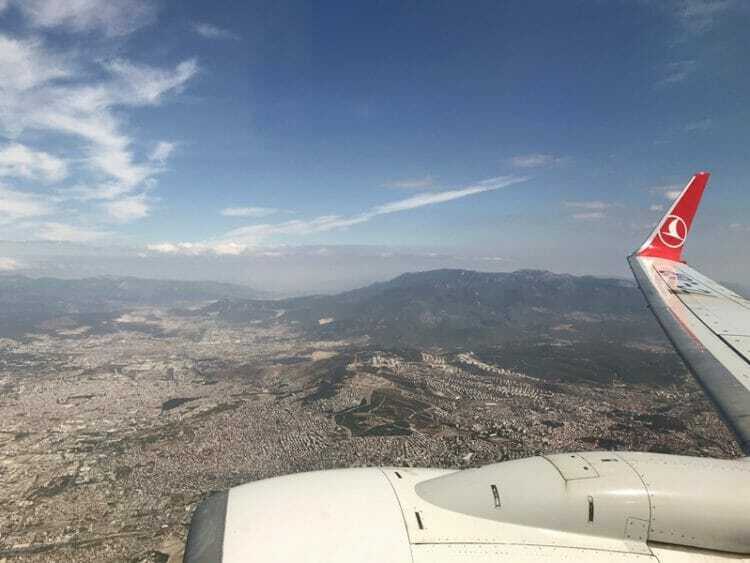 Domestic flights within Turkey are cheap and fly multiple times throughout the day; for example, it takes nearly 8 hours to fly from Istanbul to Cappadocia, but the flight takes just 1 hour. 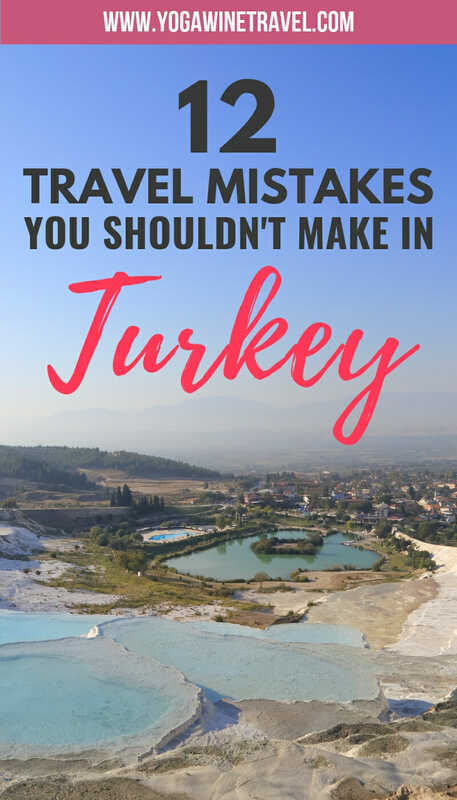 We made this Turkey travel mistake and had to scramble when our travel plans changed in Pamukkale. When I tried to look up hotels on Booking.com the page just wouldn’t load – I thought it was an issue with my Internet connection but Google seemed to be working. Then I found out that Booking.com has been blocked by the Turkish government and they are looking to extend the ban to other websites as well. In 2017, Booking.com began to halt selling rooms in Turkey to users in Turkey. 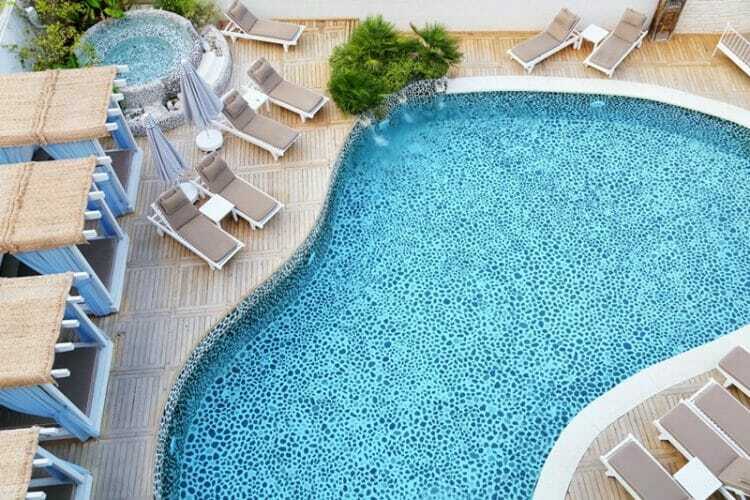 However, the website and app can be used from other countries to make reservations for hotels in Turkey – which means you need to book hotels in Turkey before you arrive in Turkey. For the time being, Hotels.com appears to still work within Turkey and that’s what we ended up using to book our stay in Alacati, but I would still recommend that you book ahead, especially if you are visiting Turkey during its peak travel season from May to about September. Click here to book your Turkey accommodation in advance, and head on over here to book your rental car – bookings can be cancelled if your plans change! We originally planned on spending 3 nights in Pamukkale. That was way too long and we left after just 1 night in the small town. There’s no denying that Pamukkale is one of the most wondrous natural landscapes in the world, but it is overrun with tourists and the tourism infrastructure is not quite up to standard – the hotels and restaurants are run-down and falls seriously short of what we experienced elsewhere in Turkey. 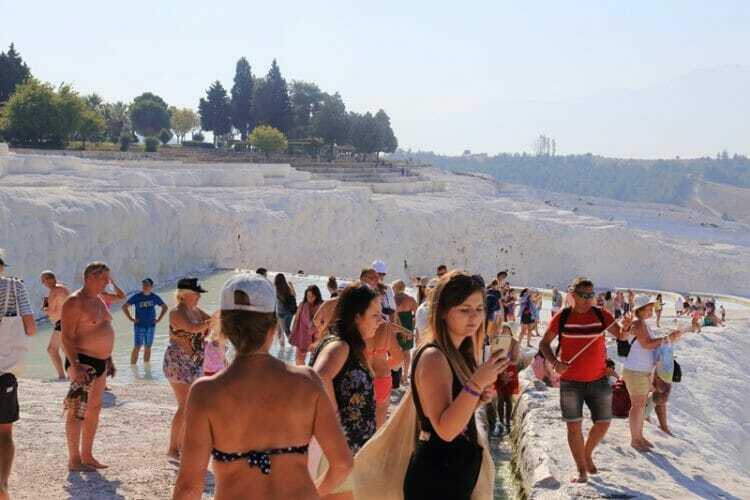 Most tourists visiting Pamukkale are day trippers from Ephesus, Alacati or Izmir, and don’t stay overnight in Pamukkale anyway. However, without investment into local businesses and infrastructure the quality of offerings will never improve, so I encourage you to ensure that your tourism dollars benefit the local community in Pamukkale. 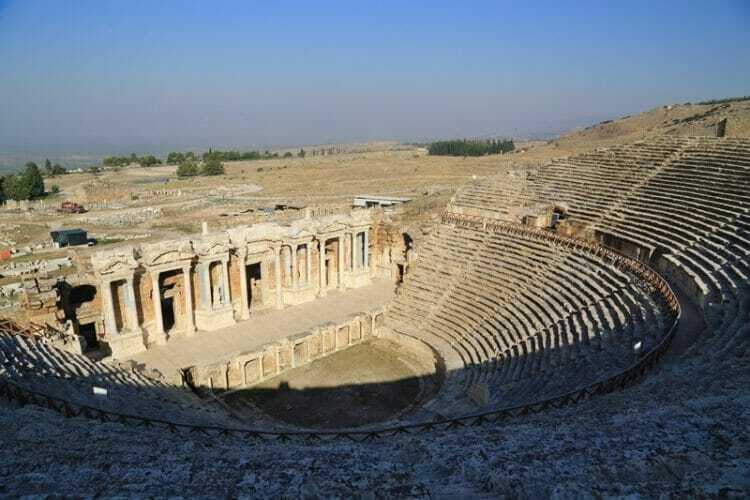 Stay at least 1 night in Pamukkale to see the frozen waterfall and travertines, or stay an additional night to venture out to Aphrodisias, another UNESCO-listed archaeological ruin. The Pamukkale travertines and ruins of Hieropolis can easily be explored within 1 morning, so you’ll find that anything more than 2 nights in Pamukkale will be too long. You need an e-Visa to enter Turkey. Rates vary depending on nationality and you can apply for your visa ahead of time on the official Turkish government e-visa website here. We nearly forgot and applied fairly last minute – luckily, the approval was almost immediate! You will need to download and print out a copy of the visa. I love the Museum Pass and I want to shout it from the rooftops. 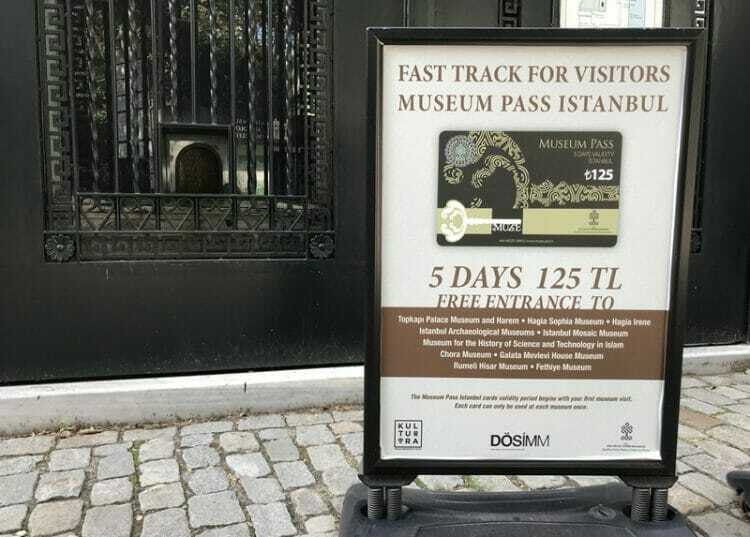 If you are visiting Turkey and are headed to multiple cities, invest in the Museum Pass! 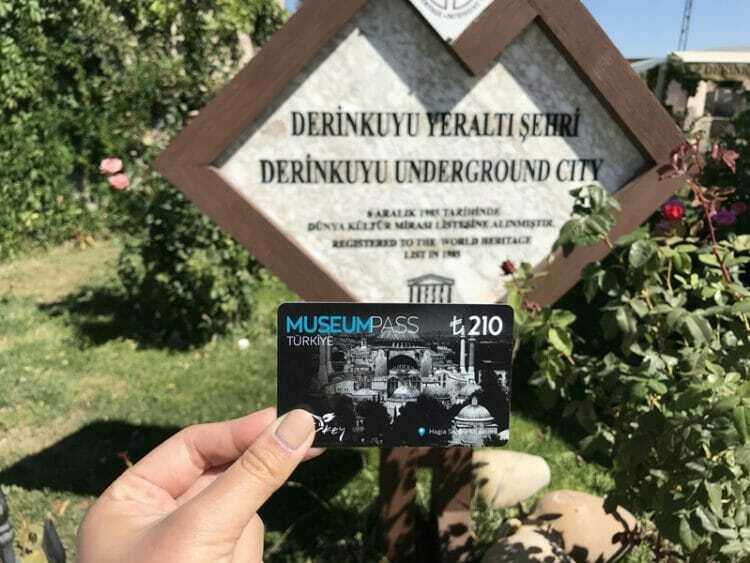 The Turkey Museum Pass currently costs 315 TL (approximately US$55) and is accepted at most museums and archaeological sites including ones in Istanbul, Ephesus, Pamukkale and Fethiye. 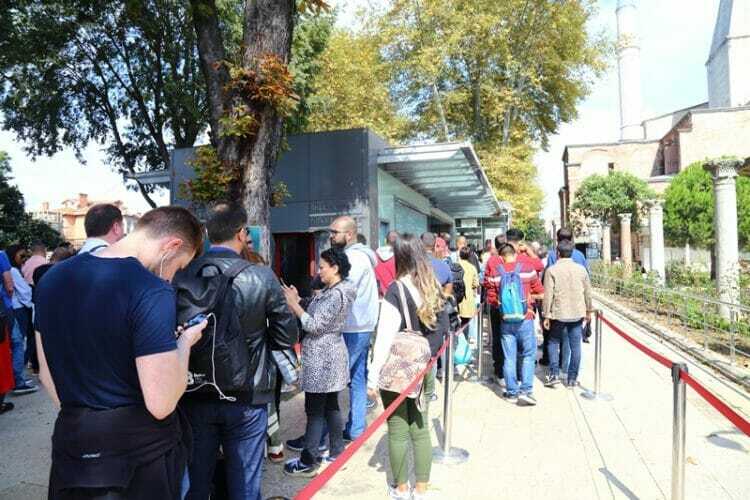 The best thing about the Museum Pass is that it allows you to skip-the-queue – all you need to do is swipe or present the card at the entrance and you can sail right in. You end up saving a lot in entrance fees if you put it to good use, and it can be purchased at pretty much any landmark that accepts it. There are also cheaper region-specific passes if you don’t want to buy a Turkey-wide pass – Istanbul, Aegean, Mediterranean and Cappadocia. 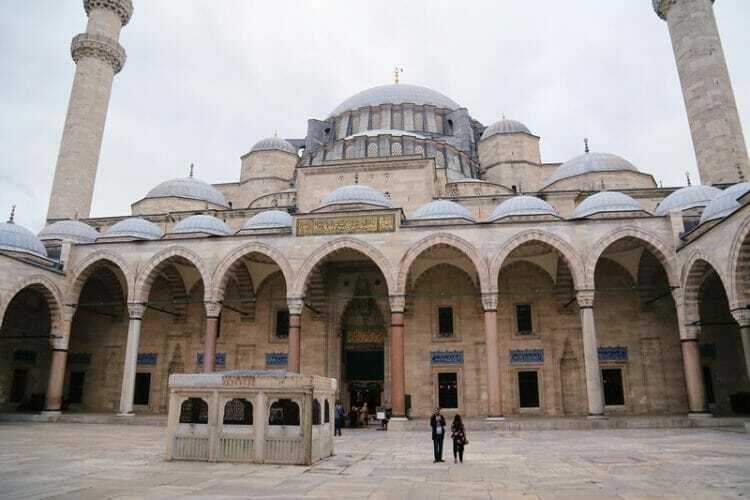 Only spending 2 weeks in Turkey was one of our biggest Turkey travel mistakes because there is SO much to see. We only saw a fraction of the archaeological sites and ruins that Turkey has to offer, not to mention the beaches, waterfalls, cities and towns. If I had a do-over, I would have budgeted at least 3 to 4 weeks in Turkey and explored Kaş, Apollo’s Temple in Didim, Mount Nemrut in eastern Turkey, Pergamon and Troy. Keep reading if you want to learn more about what not to do in Turkey. However, not everyone wants to or can afford to (in terms of time or money) jet off for weeks on end. If you are short on time but still want to experience the highlights of Turkey, head on over here to read my recommended 2 week Turkey itinerary! We spent 3 days in Cappadocia and our days were packed to the brim with things to see and places to visit…but we might not have explored it properly if our hot air balloon ride wasn’t cancelled on the first morning. 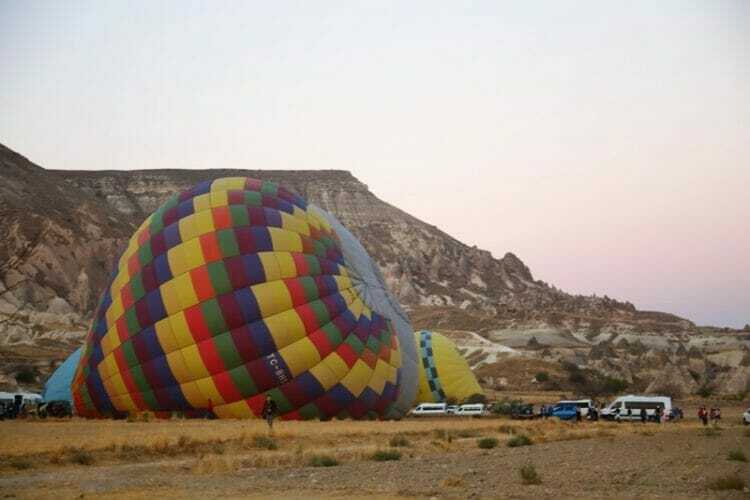 If you’re visiting Cappadocia and only set aside 1 night, you might be sorely disappointed as hot air balloon rides can be cancelled by the Civil Aviation Authority due to bad weather. On average, balloons fly on approximately 250 out of 365 days of the year, but we were one of the unlucky ones and ended up having to scramble to try to get on another flight. Many of our other fellow passengers weren’t so fortunate as several were only staying for 1 day in Cappadocia and never imagined that they wouldn’t actually be able to go on a hot air balloon ride. Because our hot air balloon ride was cancelled, we were, in a sense, forced to look for alternatives. And boy oh boy did we explore. 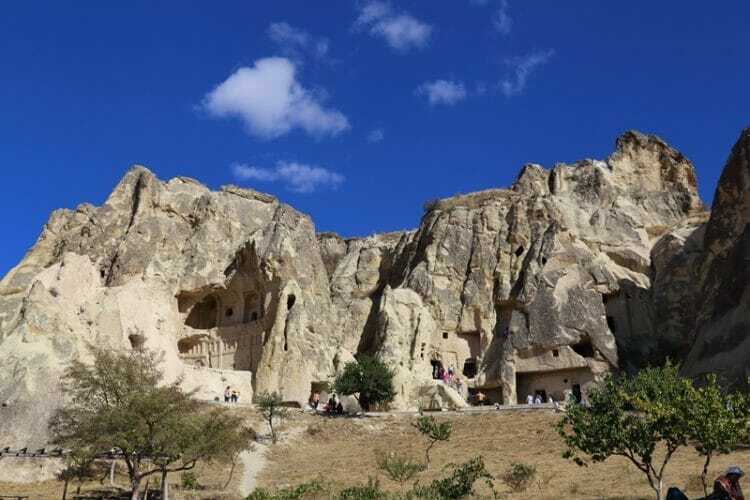 Beyond the hot air balloons in Cappadocia, the region is also home to sprawling underground cities, a plethora of viewpoints, open air museums and archaeological sites. 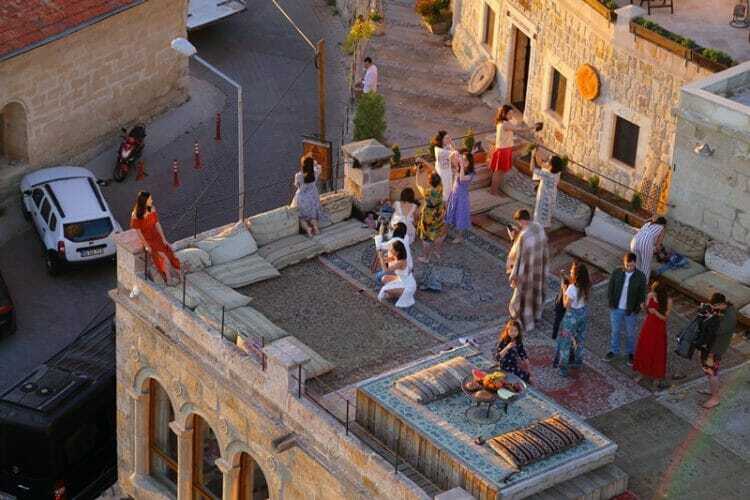 You will be doing the region a disservice if you only go on a hot air balloon, snap an Instagram shot on a rooftop and take a photo in a carpet shop! 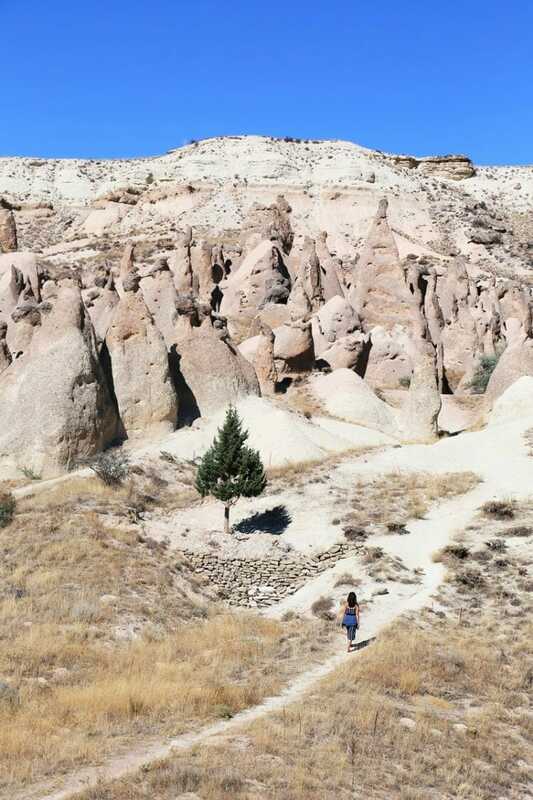 Click here for incredible things to do in Cappadocia. 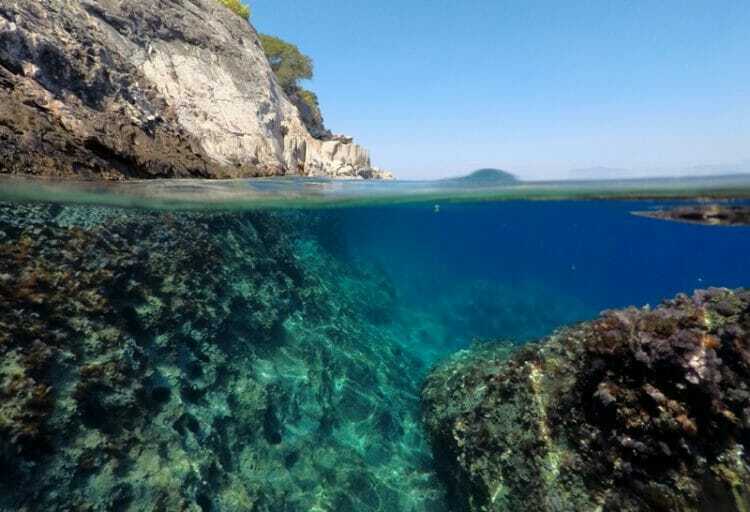 In my humble opinion, Turkey’s Turquoise Coast is one of the most underrated beach destinations in the world. 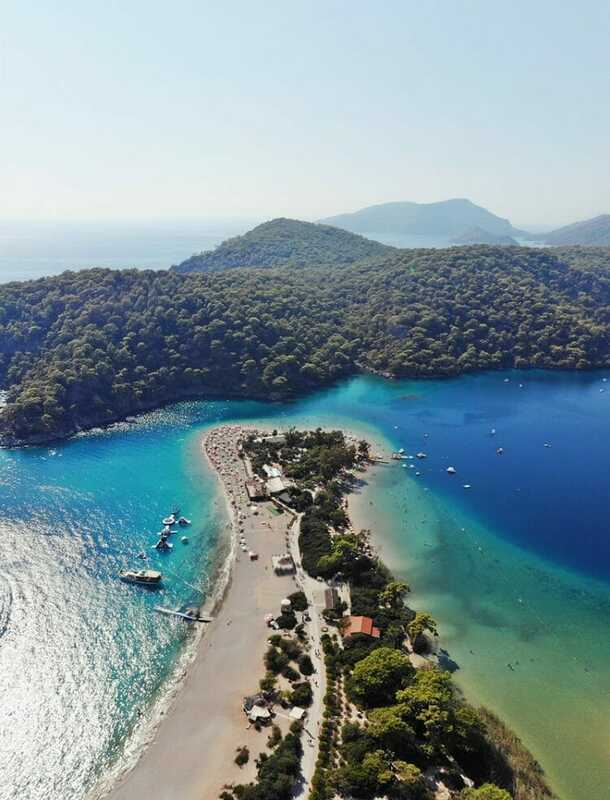 The entire stretch of the coastline in the Aegean region in southwest Turkey is full of pristine beaches, perfectly translucent water and a plethora of beautiful boutique hotels. When you think of Turkey, most people think of Istanbul, Cappadocia, and Pamukkale. 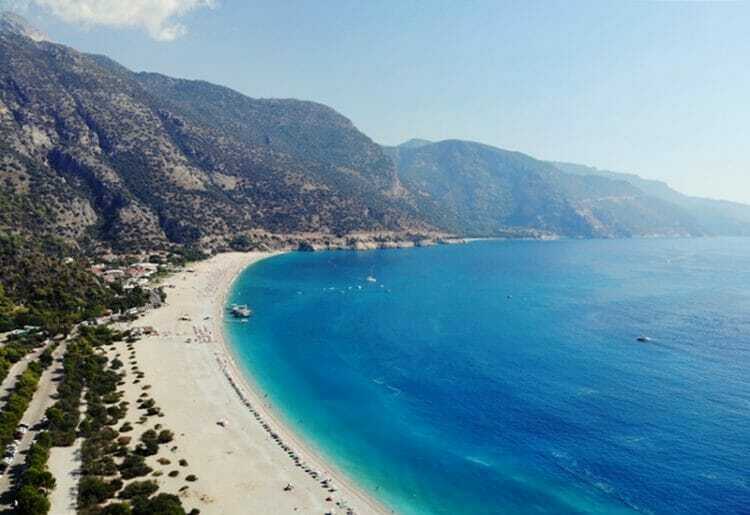 Rarely do you hear about Turkey’s stunning beaches – but sometimes our best travel experiences are from destinations we hadn’t heard much about in the past, and places where we don’t already have a rigid set of expectations. 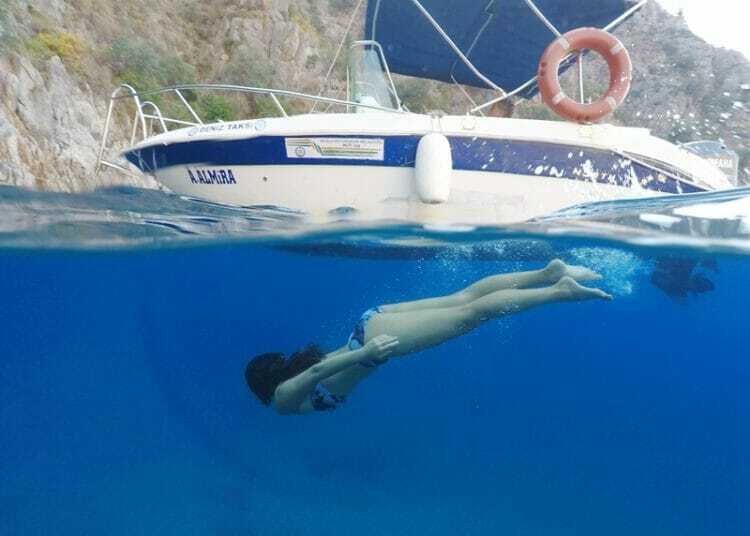 When we were putting together our 2 week Turkey itinerary, we decided that we needed some time by the ocean after time in the landlocked region of Cappadocia and ancient city of Ephesus. So we pulled up Google Maps and had a look at where we could veg out for a few nights and maybe go for a dip in the ocean. Fethiye looked alright, so off we went without knowing much about the area. Guess what? Fethiye and Oludeniz ended up being one of our favorite destinations in Turkey and I could have easily spent a few more days in the area. 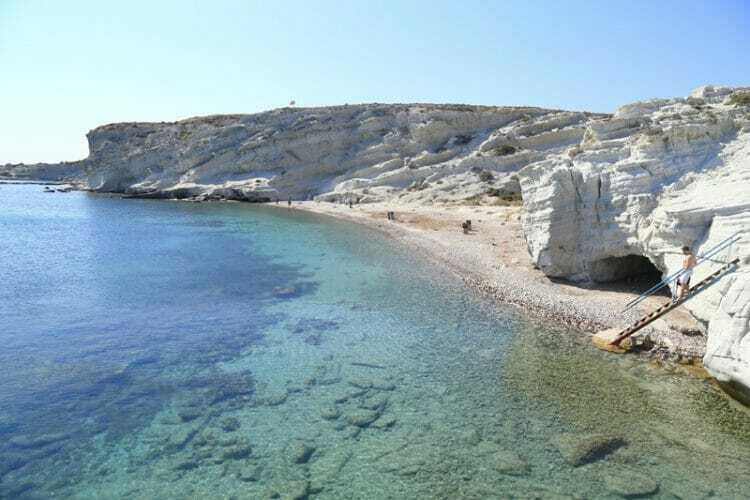 Make sure you venture to this part of Turkey for sun, sea and sites (archaeological sites, that is). There are 18 UNESCO World Heritage Sites in Turkey, all scattered around the country, not to mention the 70+ sites that are on the Tentative List for World Heritage status! Turkey is incredibly rich in culture and history, and it would be a mistake to not make the most of the uncrowded archaeological and historic sites. 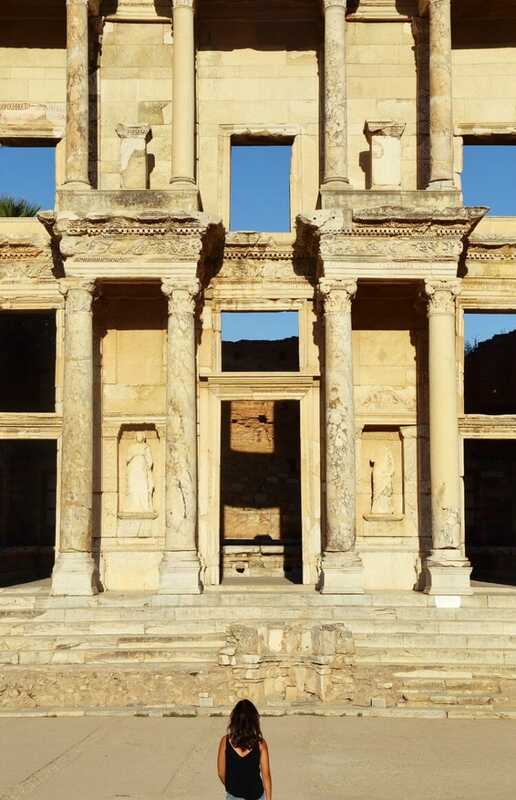 In Ephesus, we arrived at opening time and were the only people at the Library of Celsus for a good 30-40 minutes: there aren’t many places in the world where you get treasures like this all to yourself without hordes of people! When you’re visiting Turkey, do go out of your way and get off the typical tourist trail to admire what history has left behind for us. 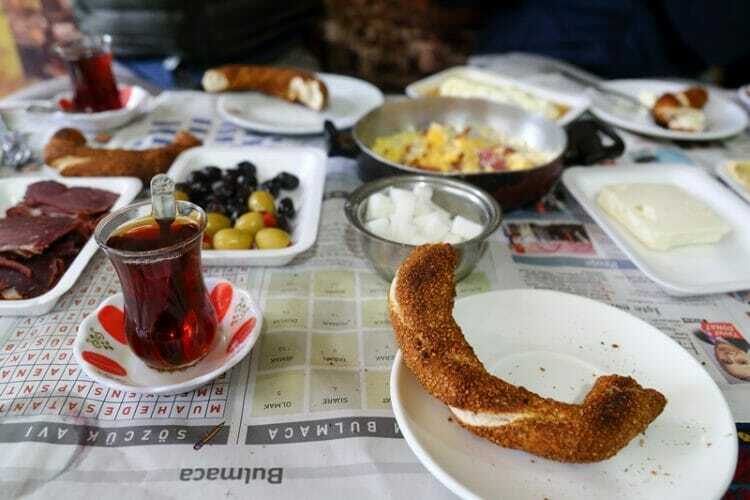 Hospitality is a cornerstone of Turkish culture, and most Turkish people believe that visitors should be treated as guests sent by God – we experienced this firsthand, and most Turks welcome the opportunity to meet foreign visitors, learn about different cultures and practice their language skills. Though we couldn’t speak a lick of Turkish, our attempts at butchering their language were always warmly welcomed. 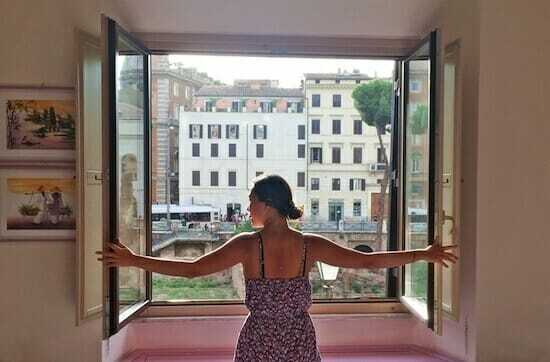 Before traveling to Turkey, I knew almost nothing about the Turkish language. In fact, my Turkish is still fairly non-existent, and I regret not learning a few basic phrases before our trip. Trying to read Turkish and figure out how to say certain phrases can be extremely intimidating, but there are some tricks you can use to remember Turkish phrases – for example, say “tea, sugar and a dream” quickly and it will sound like you’re saying “teşekkür ederim”, or “thank you” in Turkish! Here are some additional useful Turkish words and phrases for visitors. Look, though most people in Turkey are Muslim, Turkey as a whole is not extremely conservative, especially in the coastal areas and beach destinations. 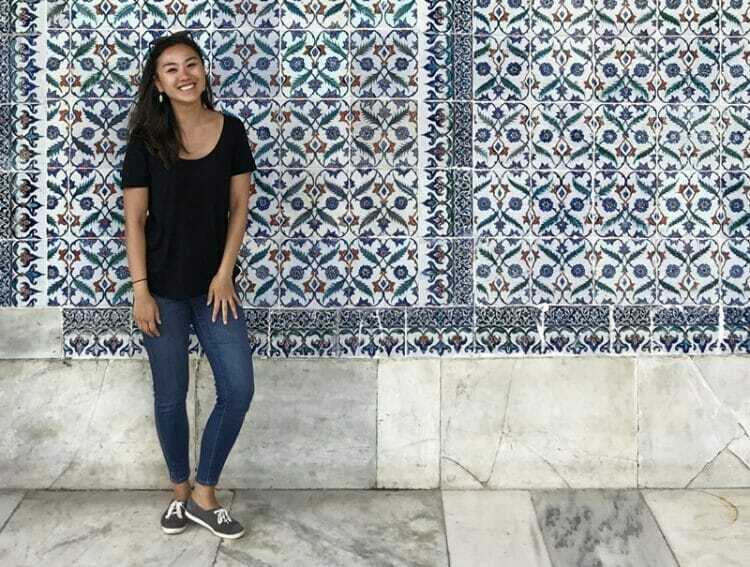 You will see young Turkish women and men dressed fairly liberally in cities like Istanbul, and Turkish people are mostly accustomed to seeing international tourists and Western-style clothing. In Turkey, you can largely walk around with sleeveless tops and shorts, and female tourists are not required to wear headscarves. That being said, you should be respectful and mindful of how you dress – would I recommend that you walk around Istanbul in a crop top and hot pants? Probably not, as you’re likely to be visiting a mosque where you need to cover your legs, shoulders and head, or crossing paths with people who have just left daily prayers. Modesty is, more often than not, appreciated and you might not want to draw any additional attention to yourself as a tourist (same as in any other travel destination!). Read some additional guides on what to wear in Turkey here, here and here. I hope this gives you an idea of things not to do in Turkey, and is helpful when you do your Turkey travel planning! 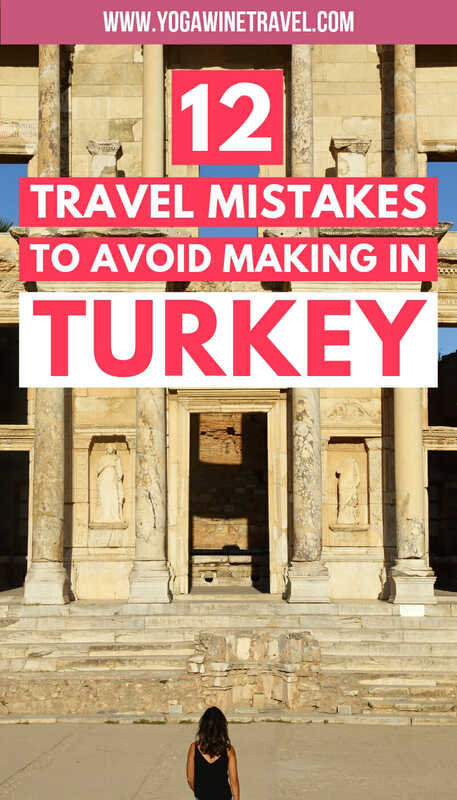 For even more Turkey travel tips and guides head on over here. Very useful information! Turkey is on my list. 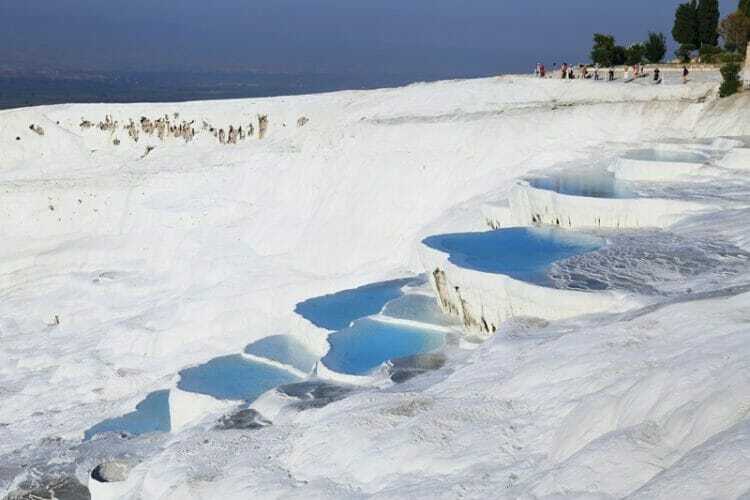 I did not know about booking.com being baned or of Pamukkale (which looks beautiful). I’m excited for the day I visit this beautiful country! Hi Alexandra, thanks so much for reading this! Glad to hear that you found it helpful, and I hope you make it to Turkey one day soon!